Throughout our long history, Hoosier Village has offered the best in health care services and compassionate care to the people we serve. We’ve truly earned a reputation for being a leader in quality, as well as an accreditation from CARF-CCAC, the national accrediting organization for Continuing Care Retirement Communities. The Health Center and health services at Hoosier Village are Medicare-certified and licensed by the Indiana State Department of Health (ISDH). The center maintains an excellent long-term survey record with ISDH—yet another assurance of the superior service and care you can expect from Hoosier Village. For residents of Hoosier Village who have more in-depth health care needs, we offer a comprehensive family of Skilled Nursing services without our Health Center. Our staff is made of caring, Medicare-certified Skilled Nursing professionals who remain attentive to the needs of every individual they serve. To enhance and maintain the highest quality of life for each resident, we offer recreational activities and social programs, weekly chapel services and a foster grandparents program with local elementary school children. 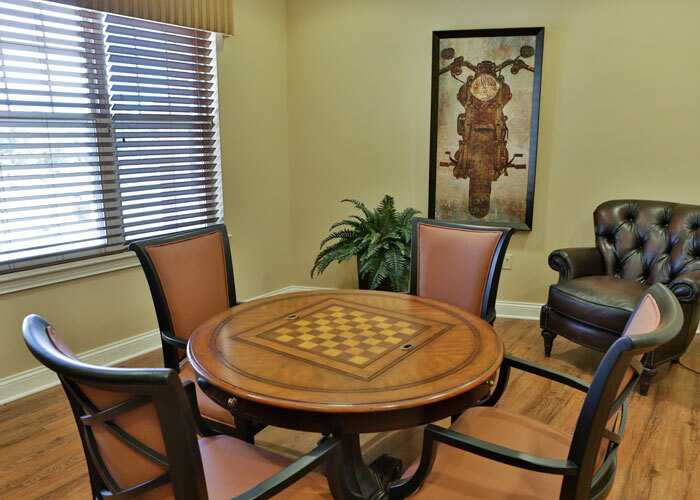 Residents can enjoy a large aviary, as well as spacious accommodations throughout the Health Center. Naturally, we also welcome the family members of residents any time to visit, dine with us and participate in activities. And residents are encouraged to keep items that will help to maintain a familiar atmosphere, such as a favorite chair, decorations or, of course, family photos. We also offer restaurant-style dining and provide a menu with nutritious options for each meal. 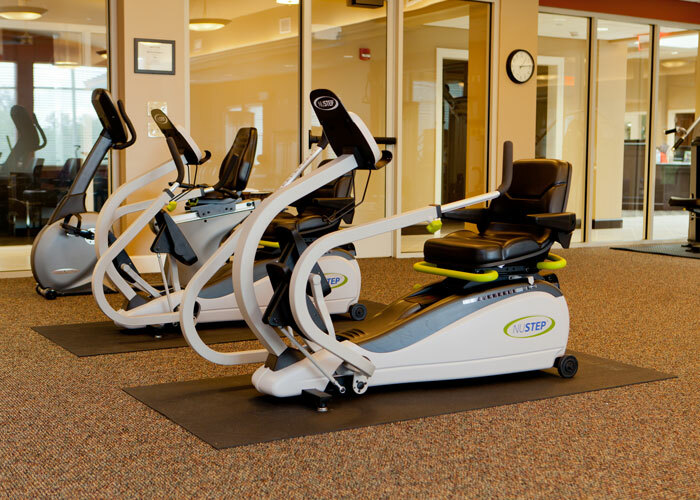 The Medicare-certified Health Center at Hoosier Village offers comfortable, state-of-the-art accommodations for rehabilitation stays. Our therapists are available seven days a week to provide the best in physical, speech and occupational therapy services. 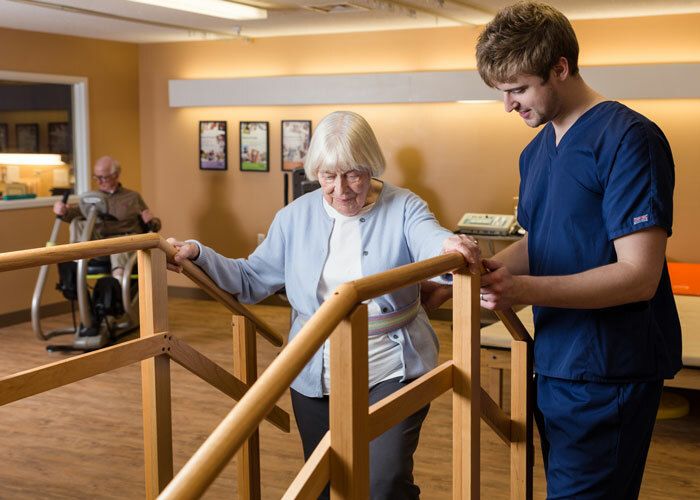 Each of our dedicated, professional staff members is truly passionate about helping you achieve your rehabilitation goals to return home as quickly as possible.